QC Series Lifts Increase Rise & Descent Speed Conventional Power Controls, directSPOT offset 3-stage front & rear arms and single-point mechanical lock release. 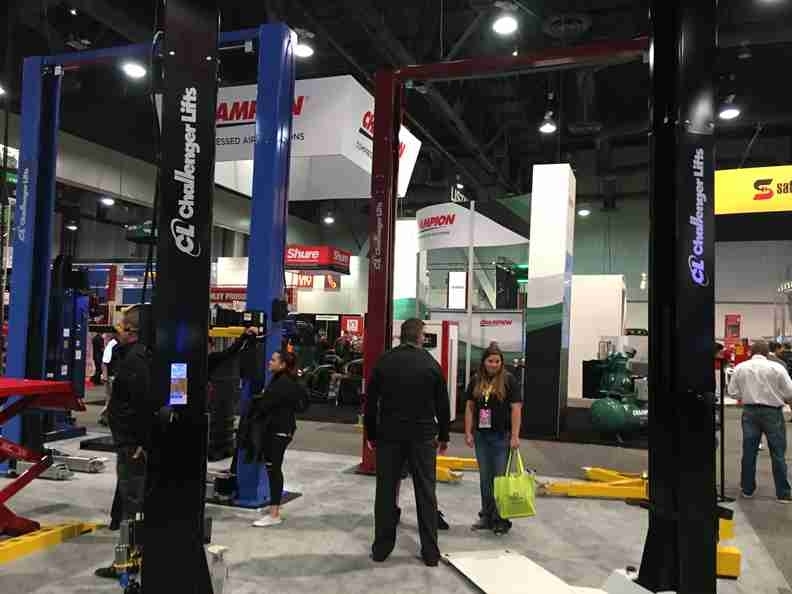 When improved lift speed of rise and lowering time is important to your vehicle service applications, Challenger has developed a simple solution. Challenger Lifts has added Quick Cycle Lifting as an innovative and cost efficient option that will increase rise and descent speed on our most popular 10,000 lb. lifts. (Available on the CL10V3 aboveground and Challenger Lifts’ EV1020 inground lifts). Quick Cycle is ideal for quick service bay applications. Quick Cycle features an increased speed of rise from 48 seconds (standard CL10V3) to 27 seconds. This dramatic increased speed of rise is obtained by increasing the power unit motor from the standard 2hp motor to a stronger 3hp motor, and an upgraded 4.0cc pump from the conventional 2.5cc pump. Quick Cycle also delivers an improved lowering speed of a constant 17 seconds (approximately) regardless of the weight of the vehicle. Quick Cycle’s improved lowering speed is accomplished by the addition of a variable flow control valve on each cylinder. *Lift capacity ratings are based on loads equally distributed on all four arms. 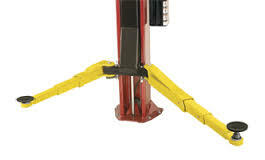 1 Rise Height is measured with adjustable screw pads in highest position. 2 Specifications are listed with lift at maximum width and/or height settings. 3 Specifications are listed without rubber pad, for measurements with rubber pad add 1/4" (6mm). 4 Optional 3 phase electrical also available (Not available for Quick Cycle models). Specify at time of order. Standard lift colors are Red and Blue. Optional colors available. 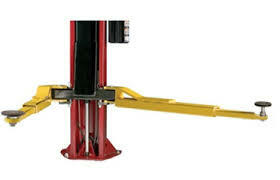 Challenger Lifts Quick Cycle Lifting - Time is money & speed matters. Innovative and cost efficient option that will increase rise and descent speed. 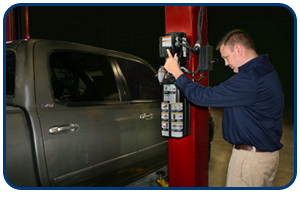 THE VERSYMMETRIC® ADVANTAGE: Versymmetric® auto lifts safely and properly accommodate cars, trucks, crossovers, SUV’s and vans all within the same service bay. Their 2 Lifts in One™ lift design is perfect for lifting just about any vehicle within lift capacity. The Challenger Versymmetric Plus CL10V3 automotive lift provides open door clearance to driver controls for both asymmetric lifting applications and symmetric auto lift applications.